Whether you're looking for a large office to accommodate your growing workforce, an out-of-town retail unit for further expansion or that vibrant high-street space to launch your new enterprise, EG Propertylink will help you find the ideal space to support both your immediate operational needs and long term business goals. 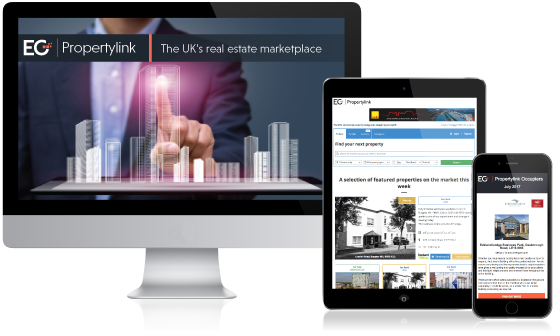 With over 38,000 available commercial properties to rent or buy and a leading auctions listings service, EG Propertylink provides choice and simplified searching for your next commercial premises. We can also provide targeted marketing packages to promote your requirement to the largest network of agents and developers in the UK.